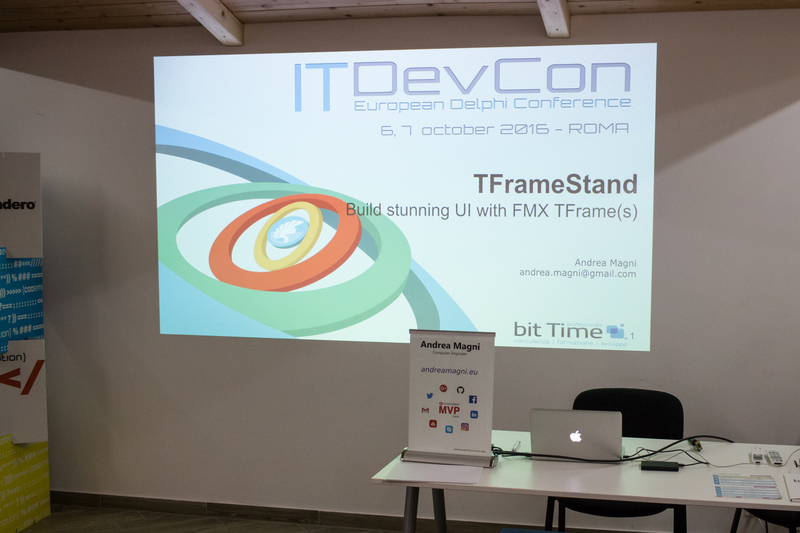 This week (Thursday and Friday) I was at ITDevCon 2016, near Rome in Italy. 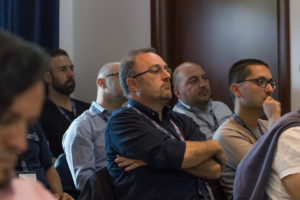 The event was great with a lot of top quality speakers like (in alphabetical order) Dmitry Arefiev, Marco Breveglieri, Marco Cantù, Fabio Codebue, Victory Fernandes, Primož Gabrijelčič, Stefan Glienke, Daniele Spinetti, Daniele Teti and many others. The attendance was high (I think almost sold-out) and it has been a pleasure to meet a lot of Italian Delphi developers, many of them I personally know since long time and are friends. 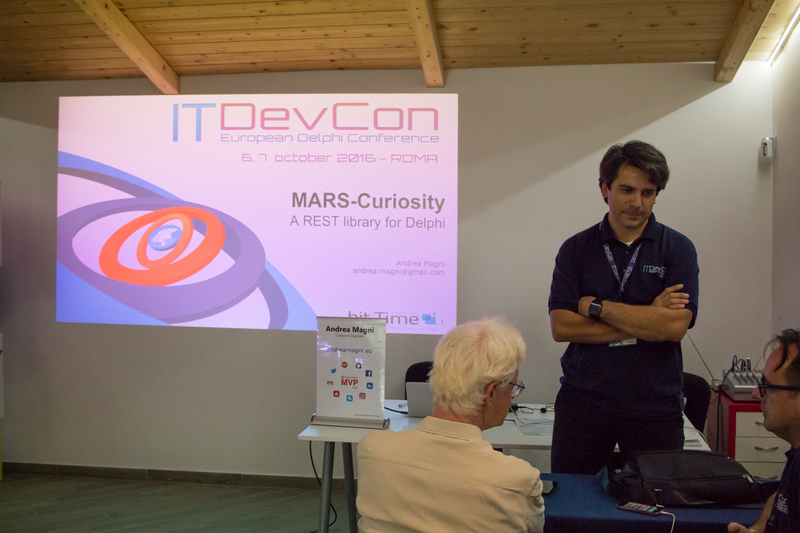 As I wrote in a previous blog post, I had two sessions on Friday: a TFrameStand (FMX Frames) session in the morning and a MARS-Curiosity (REST library) session in the afternoon. 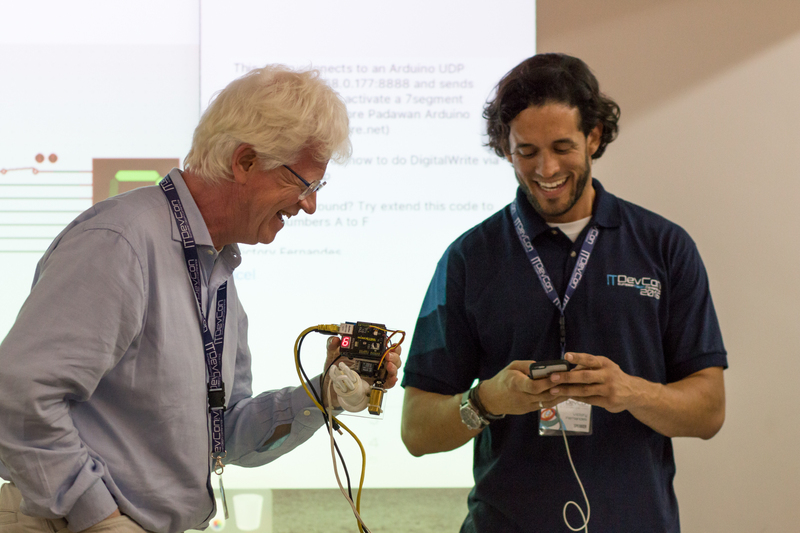 Many thanks to the organizers (great dinner and food during the conference, great logistic effort and kindness) and hope to see you all next edition! 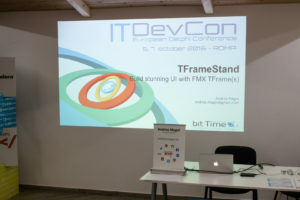 TFrameStand v.1.2 available on GitHub and GetIt!